Investing in renewable energy by choosing a green energy supplier is one of the most convenient ways of reducing your household’s carbon emissions – as well as helping to support wider renewable energy initiatives. 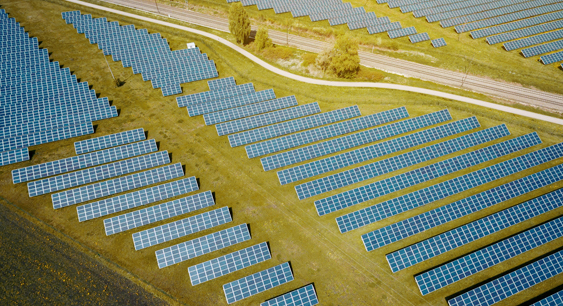 This is because green suppliers often help fund clean energy initiatives, which can encourage sustainability practices and finance bigger environmental projects. Providing customers with 100% renewable energy from existing energy sources. Offsetting the amount of energy customers consume by providing the National Grid with an equivalent amount of renewable energy. Making contributions to new renewable energy generation projects on your behalf. Alongside providing information about each tariff, suppliers will specify in which of the above three capacities they provide their green energy. There are several suppliers that offer green energy in the UK. Some exclusively provide green energy while others provide a mix of renewable and non-renewable energy. Below is a short guide to green energy suppliers – and how to compare and switch to green energy tariffs. The world’s first green energy provider, Ecotricity uses the money it receives from customers to build new sources of renewable energy. Their main focus is wind energy and they set up wind parks around the UK in their bid to “turn energy bills into windmills”. They also plan to turn gas bills into ‘gasmills’ by exploring green sources of gas through alternative sources such as algae. In terms of tariffs, Ecotricity provides electricity and gas on a variable, rolling basis and offer only one tariff for each fuel – Green Electricity and Green Gas. The Green Electricity tariff uses 100% renewable energy while the Green Gas tariff uses 2% green energy – a higher percentage than any other gas tariff in the UK. They provide paperless billing and accept payment by monthly direct debit. They also offer a dual fuel discount of £15 and offer a discount for electric car owners. The Tap tariff is their most simple. It is a variable tariff with no standing charge and no contract terms. It mainly uses CHP (combined heat power) as its fuel source. The Still tariff features a standing charge but a lower unit rate than the Tap tariff. It is low-carbon and uses CHP along with other renewable sources. The Sparkling tariff is 100% renewable, using energy generated from wind, hydro, solar and organic waste material, and has zero carbon emissions. Green Energy is also a 100% nuclear-free supplier. Good Energy provides only 100% renewable electricity, sourced from wind, hydro and solar power, with plans to include plant-based biomass in the future. The supplier works with the National Trust to help develop renewable energy generation projects, and uses the money from their customers to fund wider renewable initiatives. They also score highly in domestic energy customer satisfaction surveys organised by independent consumer charity Which?, and are 100% nuclear-free. Good Energy offers two tariffs – an electricity tariff called Good Energy and a dual fuel tariff called Good Energy and Gas+. The Good Energy tariff uses 100% renewable energy sourced from independent generators. The Good Energy and Gas+ tariff also uses 100% renewable electricity, and the revenues from the tariff are used to reward domestic solar thermal generators as part of the Renewable Heat Incentive (RHI). The tariffs do not have early termination fees, are variable and can be paid through direct debit. Ovo Energy is known for its strong customer service and its low-cost renewable energy, sourcing 32% of its energy from renewable sources. It offers energy to both domestic and business customers, with its domestic energy contracts offered on a twelve-month basis. They offer dual fuel tariffs, paperless billing and payment via direct debit. Ovo’s Greener Energy tariff comes with no cancellation fee, offers 100% renewable energy and has fixed prices for twelve months. The tariff is offered on a dual fuel or electricity-only basis. Woodland Trust Energy is a new green energy supplier powered by Ovo Energy and owned by the Woodland Trust – the UK’s leading woodland conservation charity. The charity creates and protects woodlands across the UK. For every new switch to a Woodland Trust Energy tariff, Ovo has pledged to make a donation to the charity. Woodland Trust Energy offers two twelve-month fixed energy tariffs, both payable by direct debit and with no exit fees. The Greener Energy plan offers 100% renewable energy while the Better Energy Plan offers 33% renewable electricity. LoCO2 Energy produces and sells renewable energy generated through its nine hydropower stations, with the hydropower electricity complemented by wind, solar and biofuel energy. The independent company provides for both business and domestic customers, and aims for 80% of their overall fuel mix to be sourced from renewable sources. Their two domestic tariffs are a 100% renewable Planet tariff and a cheaper economy tariff called Pocket which offers 20-40% renewable electricity. Both tariffs are offered as dual fuel tariffs, with LoCO2 Energy currently looking into biogas as a renewable source of gas. Customers can choose between fixed and variable contracts, and can pay by direct debit. How do I compare green energy suppliers? When it comes to comparing green energy suppliers, your chosen business energy comparison site may have an option to filter your search results to only show ‘green plans’ or ‘green tariffs’. It can be difficult to find green energy tariffs without this option, as price comparison sites will automatically display the cheapest tariffs for your circumstances and green tariffs often come with a premium. Once you’ve found a suitable tariff for you, you can use the price comparison site to switch, or contact your chosen supplier who can arrange the switch for you. It is important to research your chosen green energy supplier thoroughly before you make a decision. You might refer to the independent Green Energy Certification Scheme (GECS) which assesses and approves deals that provide renewable energy and deliver additional environmental benefits.